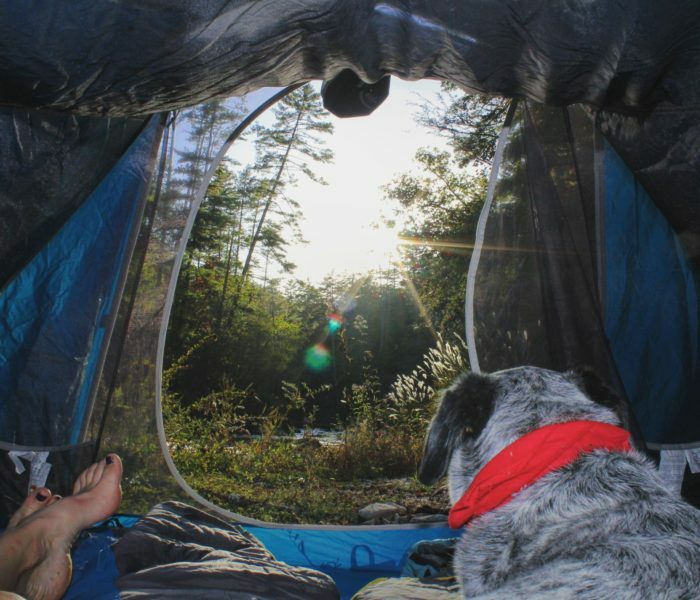 Sierra Designs calls this tent “simple, lightweight, (and) dependable”, and we could not agree more. The Clip Flashlight 2 has been redesigned to have more space, more height, and more room for storage – all with no added weight or cost. This non-freestanding, one-door tent is extremely easy to set up quickly, and is perfect for those who are looking for a lightweight, low-cost tent for two. Note: The Light Year 1 is the one person sibling to the Clip Flashlight 2. It shares all the same features and functionality as the Flashlight, but has a narrower width and lower peak height. Poles: Two. One main hoop pole in the front, and a smaller in the rear. Material: Tent floor is nylon taffeta, tent body is nylon mesh, and the rain fly is poly taffeta. As you can see, the Flashlight 2 packs up to a convenient size of just 18 inches long and 6 inches in diameter. Overnight trips in warm, rainy weather in South Carolina and in 30 degree temperatures in the Adirondacks. This tent is easy and fast to assemble; Waterboy almost had it up before I could grab a picture of it being pitched. Because it is a non-freestanding tent, the first step is to find the right ground that will let you stake out the tent’s four corners. Then, you simply hook up the larger hoop pole in the front, and then the same with the smaller pole in the rear. That’s literally all there is to it. Unfortunately, the amount of space we had in the Clip Flashlight 2 was the one major downside to an otherwise awesome tent. Granted, Waterboy is 6 ft tall, we had the dog with us, and it started raining one night so we had to pull our bags inside. 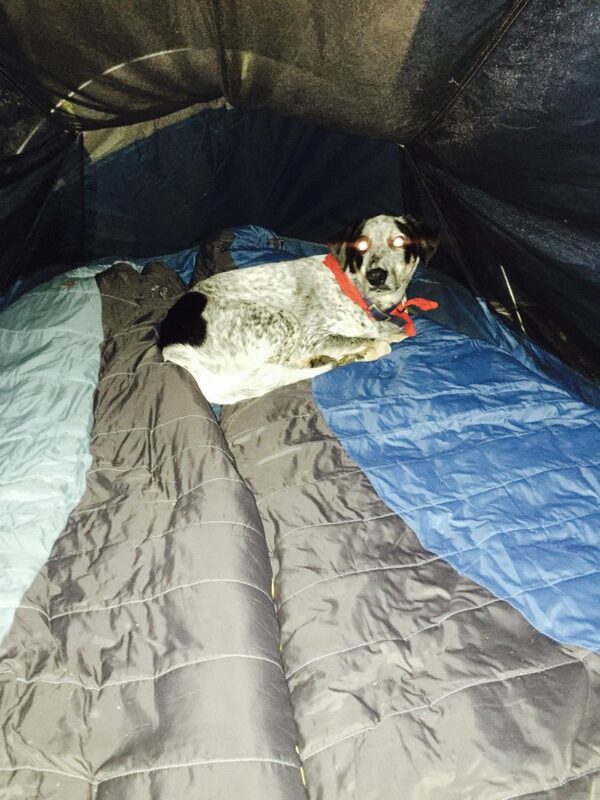 The tent’s height and width doesn’t leave much room for anything but going straight to sleep, but let’s be real – when don’t hikers pass out the second their heads hit the ground anyways? The weight for a 2 person tent at this price point cannot be beat. 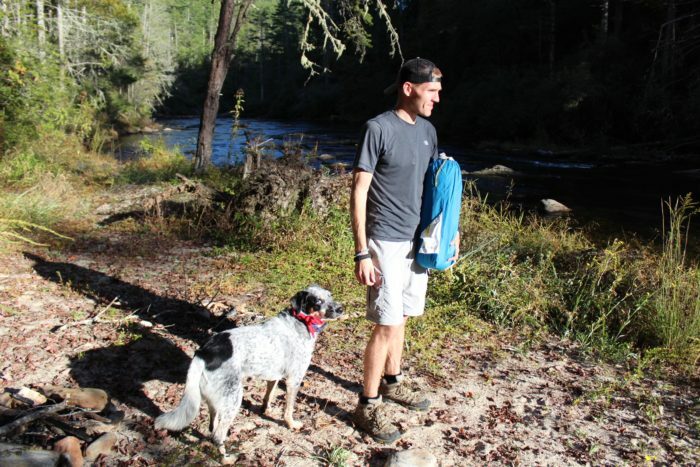 If you are new to the backpacking world and are looking for a tent to start out with but don’t want to drop all of your life savings, this tent is a great option. Or, if you’re like us and are looking to cut back on pack weight for shorter weekend trips, the Clip Flashlight 2 can do just that too. Additionally, the rain fly on this tent kept us warm. We couldn’t believe the amount of heat that stayed inside, even with a completely mesh body. It held out the rain and the wind, and stayed staked in despite the weather. The living area in this tent is more for a 1+, so if you’re a 2+ you might want to look at something with more space. 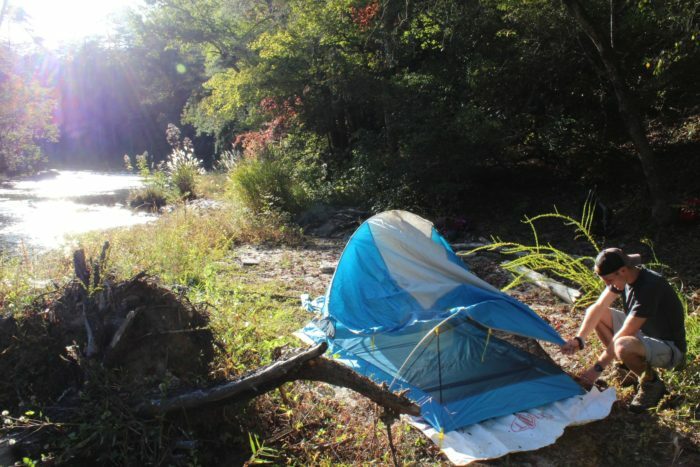 Also, it is a non-freestanding tent which can be tricky depending on the terrain that you are staking into. 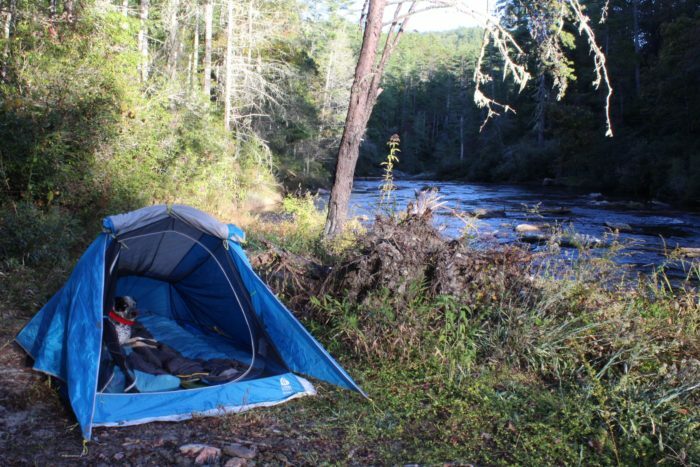 This is a lightweight tent that sets up fast and is a steal at the MSRP. This is a great starter tent if you’re looking to get into backpacking, or if you are looking for an easy, lighter option for weekend trips.